Starring: Denzel Washington, Viola Davis, Stephen Henderson, Jovan Adepo, Mykelti Williamson, and more. A film comes along rarely when performances are so strong that they leave you shocked in your seat. When a line or multiple lines are delivered perfectly and/or so passionately that you can not help but to nod your head in appreciation or in disbelief. It is probably easy to see where I am going with this but I am going to leave you eager to get the rest of my reaction and opinion to this movie, but here, we have the Oberrated review for ‘Fences’, starring Denzel Washington and Viola Davis, directed by Denzel himself, and written by the author of the play ‘Fences’, August Wilson. 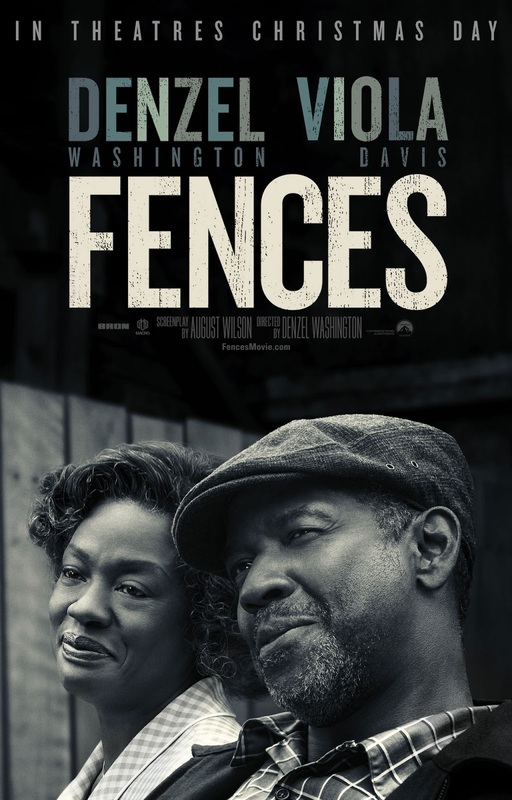 ‘Fences’ follows the story of Troy Maxson (Denzel Washington) as he lives his life a family man. Working day in and day out to provide a comfortable life for his wife, Rose (Viola Davis) and seventeen year-old son, Cory (Jovan Adepo). Although, the life of a work-focused father seems straight-forward and simple to follow through with, his troubled past, the difficulties of everyday personal desires in life, and also the difficulties of being African-American in the 1950’s creates an overwhelming and anything but simple life to handle. Denzel Washington has been a favorite actor of mine off of the sheer fact that he is a highly talented performer. As if we did not already know this fact, ‘Fences’ puts the stamp on it (again, as if it has not been stamped more than a travelers passport). Denzel strings together immaculate lines and keeps the charisma and delivery at 100%.. Beyond Denzel, it was not only his performance that was strong but everyone’s, and especially Viola Davis’. Without spoilers, everyone performed with such passion and power from every high point to low point, you as an audience feel it. You feel every emotion from high to low.. Lastly, I was impressed with simply how well done the play was translated to a movie screen. Having the author as the screenplay writer surely helps but regardless, in a time where we are drowning in a sea of novel-turned-movie adaptations, this was a breath of fresh air as it locks your attention throughout with its cleverly chosen words/lines as well as how they were performed. With quite possibly one of the best acting performance films I have seen, ‘Fences’ is a must-see. Clearly, very dialogue heavy and possibly slow to some who do not like this type of film but regardless, if you are a fan of film, this is one to see.